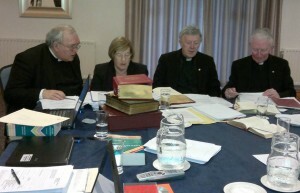 “The fourth meeting of the Sapienti Committee took place at Knock, Co. Mayo 1-4 February 2012.  The Committee is an advisory body to the Congregation for Divine Worship and the Discipline of the Sacraments for liturgical texts in the Irish language. Currently it is engaged with the review of the proposed translation into Irish of the Missale Romanum. Present at the meeting were: Archbishop Michael Neary of Tuam, Bishop Philip Boyce of Raphoe, Bishop Brendan Kelly of Achonry, Professor Padraig O Riain, Dr. Caitriona O Dochartaigh, Fr. Joseph Briody, Fr. Micheal O Loingsigh, Mr Brian O Donnchadha and Mons. James O’Brien. Cardinal Antonio Canizares Llovera, Prefect of the Congregation for Divine Worship and the Discipline of the Sacraments thanked the members of the Committee. In particular, he expressed his gratitude to Archbishop Neary for his commitment to this project, to Cardinal Brady and to the Bishops’ Conference of Ireland for their pastoral support for the liturgical use of the Irish language. The principal item on the Committee’s agenda was the review of the proposed Irish translation of the Easter Triduum and of the propers for the Season of Easter. In addition, the remaining texts of the propers of Ordinary Time (Sundays 24-34) and the calendar pages of the Missal were reviewed. As on previous occasions, the Committee noted the high standard employed by the translators of the texts which, for the most part, required only minor adjustments for the sake of consistency and in the application of the norms of instruction Liturgiam authenticam. The Committee was pleased to note that the Ordo Missae and the propers for Advent and Christmas, approved by the Congregation in October 2011, have been printed in fascicules for interim use and were available for the first Sunday of Advent to coincide with the introduction of the English language translation of the Missale Romanum. The Committee very much regrets that those sections of the Irish translation already approved for liturgical use by the Congregation for Divine Worship in November 2011 (the propers for Sundays 1-11 of Ordinary Time and the propers for Lent) have not yet appeared in printed fascicules. The Committee offers every possible encouragement so that those responsible for the publication of these texts will be able to meet the established timelines and it hopes that the texts (especially those for Lent and Easter) will be available for those who use the Irish language on pari passu basis with the English language translation. The Committee offered a special vote of thanks to the manager and staff of the Knock House Hotel for their kindness and professionalism in facilitating the meeting. “Ba i gCnoc Mhire, Co. Mhaigh Eo, idir 1-4 Feabhra 2012, a tionóladh an ceathrú cruinniú den Choiste Sapienti. Comhlacht comhairleach is ea an Coiste seo don Chuallacht um Dheabhóid Dhiaga agus Disciplín na Sacraimintí maidir le téacsanna liotúirgeacha sa Ghaeilge. Faoi láthair tá sé ag plé le hathbhreithniú ar an aistriúchán Gaeilge ar an Missale Romanum atá molta. I láthair ag an gcruinniú bhí: Mícheál Ó Nearaigh, Ard-Easpag Thuama, Pilip Ó Buaidhe, Easpag Rath Bhoth, Breandán Ó Ceallaigh, Easpag Achadh Chonaire, an tOllamh Pádraig Ó Riain, an Dr. Caitríona Ó Dochartaigh, an tAth. Joseph Briody, an tAth. Mícheál Ó Loingsigh, Brian Ó Donnchadha, agus Mons. James O’Brien. Ghabh an Cairdinéal Antonio Canizares Llovera, Maor na Cuallachta um Dheabhóid Dhiaga agus Disciplín na Sacraimintí, buíochas le baill an Choiste as a gcuid oibre. Ghabh sé buíochas ar leith leis an Ard-Easpag Ó Nearaigh as a thiomantas don tionscadal seo, leis an gCairdinéal Mac Brádaigh agus le Comhdháil Easpag Caitliceach Éireann as a gcuid tacaíochta tréadaí le haghaidh úsáid liotúirgeach na Gaeilge. Ar chlár an chruinnithe ag an gCoiste, bhí an t-athbhreithniú ar an aistriúchán atá mólta do Thréan na Cásca agus do Thráth na Cásca. Anuas air sin, rinneadh athbhreithniú ar na téacsanna agus ar na dílis don Tráth le Linn na Bliana (Domhnaí 24-34) mar aon le féilire an Leabhair Aifrinn. D’aithin an Coiste, mar is gnáth, an t-ardchaighdeán ar an aistriúchán atá molta ar na téacsanna, téacsanna nach raibh ach mionathruithe le déanamh orthu den chuid ba mhó ar mhaithe le leanúnachas agus d’fhonn cloí le treoracha Liturgiam authenticam. Ábhar sásaimh don Choiste ab ea é go bhfuil an Ordo Missae mar aon le dílis na hAidbhinte agus na Nollag, arna bhfaomhadh ag an gCuallacht, i gcló i bhfoirm shealadach agus go raibh siad ar fáil don chéad Domhnach den Aidbhint. Tháinig an t-aistriúchán nua i mBéarla ar an Missale Romanum i bhfeidhm ar an lá céanna. Is oth leis an gCoiste a rá nach bhfuil na blúirí den aistriúchán Gaeilge (dílis Dhomhnaí 1-11 den Tráth le Linn na Bliana agus dílis an Charghais), a d’fhaomh an Chuallacht um Dheabhóid Dhiaga i mí na Samhna 2011, i gcló go fóill. Tugann an Coiste gach spreagadh ina leith seo i dtreo is gur féidir leo siúd atá freagrach as na téacsanna a fhoilsiú, é sin a dhéanamh go tráthúil. Tá súil aige chomh maith go mbeidh na téacsanna (go háirithe téacsanna an Charghais agus na Cásca) ar fáil do lucht na Gaeilge ar bhonn pari passu leis an leagan Béarla nua. Chuir an Coiste a fhíorbhuíochas in iúl do bhainisteoir agus d’fhoireann Óstán Theach Chnoc Mhuire as a gcuid flaithiúlachta agus gairmiúlachta fad is a bhí an cruinniú ar siúl. Previous articleHomily of Archbishop Neary for the Celebration of Religious Life – 2nd February, 2012.